More than 2,000 CA members from around the world took part in our online poll. 36 per cent of CAs have received an above-inflation pay rise in the current year. 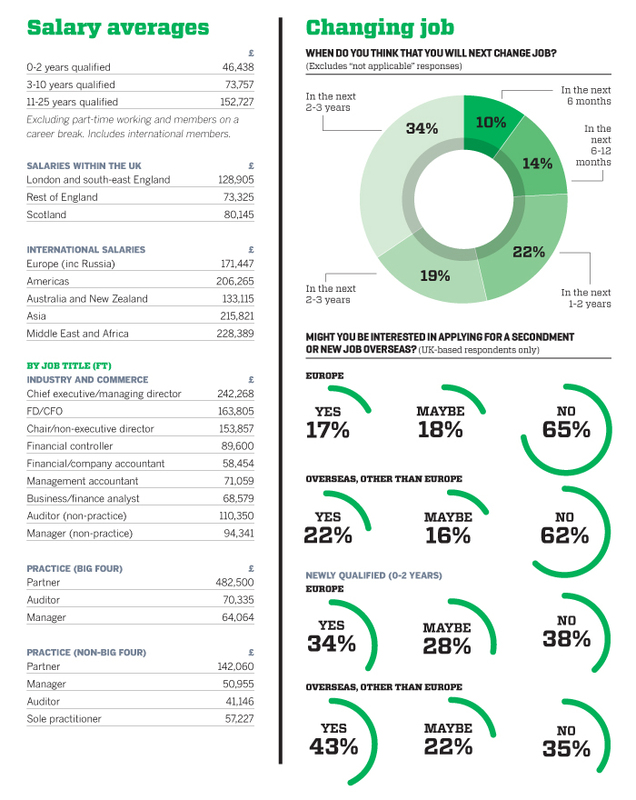 34 per cent of newly qualified CAs are interested in a move to continental Europe and 43 per cent further afield. The uncertainty of the past year seems to have had little impact on CA salaries and careers, according to the latest ICAS survey. The CA’s 2016/17 Salary and Careers Survey is based on a record response from ICAS members, with more than 2,000 around the world taking part in our online poll. Thank you as ever to all those who took the time to complete our survey. With all the upheavals of 2016, the impact on pay appears to be marginal. The percentage reporting that they have received an above-inflation pay rise in the current year is marginally down (36 per cent compared with 39 per cent last year). 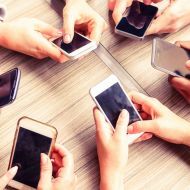 Expectations are also very slightly down (25 per cent expect an above inflation rise next year, compared with 28 per cent in last year’s survey). London is still the best place in the UK for CAs to work in terms of salary. Average compensation in the London and south-east England area is £128,905. The average for the rest of England is £73,325 and £80,145 for members working in Scotland. In terms of international salaries, the Middle East and Africa tops the list with average earnings of CAs calculated at £228,389 followed closely by Asia which offers £215,821. By job title, partners working at a Big Four firm are taking home the biggest pay slip with an average salary of £482,500, while non-Big Four partners receive £142,060. CAs who are chief executives and managing directors in the industry and commerce sectors earn an average salary of £242,268. Although the survey mainly focused on members' earnings it also asked CAs how satisfied they were in their current role. 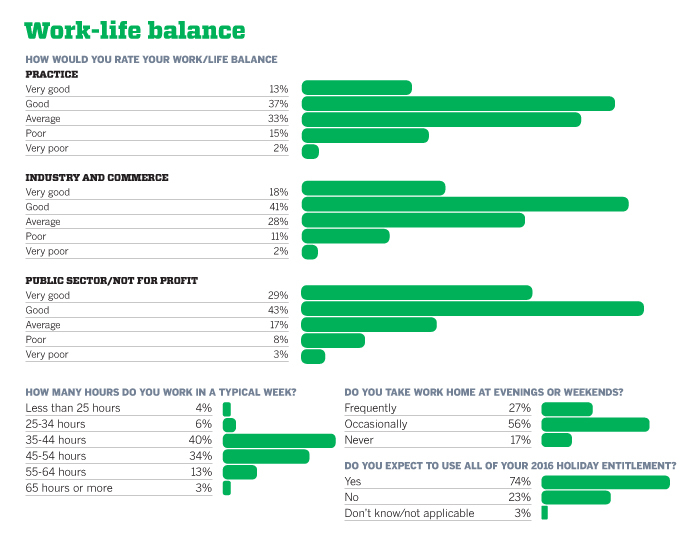 The answers were positive across the board with the majority of CAs saying they had a good work life balance. Members working in the third sector were the happiest of all with 43% saying they have a good work life balance and 29% saying it is very good. Members' overall satisfaction with their job and the compensation they receive may be reason that 83% of them have not asked for a pay rise in the last 12 months. This year, we asked about aspirations to work abroad with either a career move or a secondment. The appetite for this among newly qualified CAs (0-2 years post-qualifying) is strong, with 34 per cent saying that they would be interested in a move to continental Europe and 43 per cent thinking about a move further afield. It is an intriguing set of responses given the fact that freedom of movement has become a somewhat fraught political issue. “Austerity measures” are very marginally up, with – for example – 11 per cent reporting frozen bonuses in their organisation (compared with 9 per cent last year).